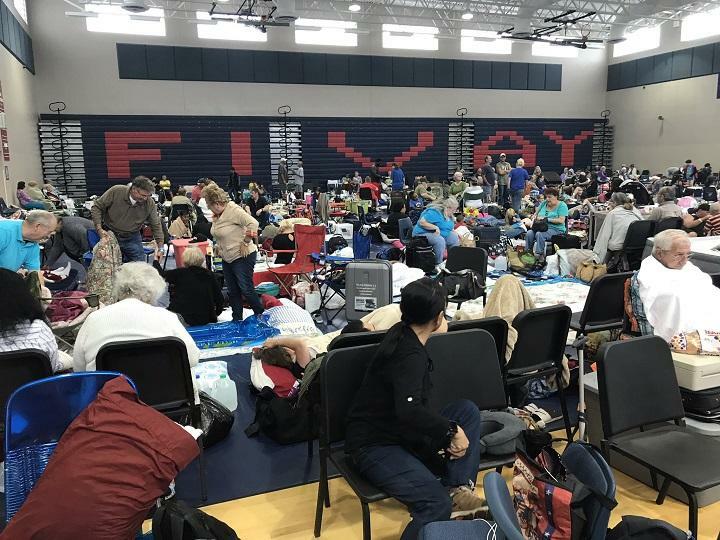 Fivay High School in Hudson was a Pasco County storm shelter during Hurricane Irma in September 2017. With another hurricane season around the corner, there could be some changes to the way school districts and counties receive reimbursement from the Federal Emergency Management Agency for the cost of storm shelters. With a new administration at FEMA came the realization that the reimbursement policies have previously been misinterpreted. After Hurricane Irma and any other major storm in the last two decades, school boards and counties applied for reimbursements as separate recipients. The costs associated with shelters come from opening schools and facilities and paying school or county employees to work during the storm. School districts may now have to adjust their paperwork. The new interpretation of the policies ask that the school board request reimbursement from the county. The county will then request reimbursement from FEMA, but only after paying the school district. “I agree with FEMA’s interpretation, I think it’s very black and white, cut and dry,” said Kevin Guthrie, the former chief of staff of the Florida Division of Emergency Management during Hurricane Irma. Guthrie is also the assistant county administrator of public safety for Pasco County. He said that their school board has already adopted the new process and has requested reimbursement for Hurricane Irma shelters. Although that storm hit last September, Pasco schools have not yet been paid back the $2.8 million it cost them to open 24 storm shelters. Guthrie believes the changes will speed that up. For some school districts, however, the new process will not be a big change. Spokesman Kevin Baxter said Pinellas County was already working this way before the new FEMA administration came in.